How On Earth Did A Food Blogger Become A Zumba Instructor? Imagine this, in the afternoon you are at a food tasting session at a restaurant, savouring the best foods with arms holding a camera, almost burping at the sensational tastes. Right after that, you switch into your workout gear at the gym, dancing to the music with arms holding weights, and start instructing a Zumba class. I lead these two vastly different lives in a single afternoon. So how on earth did a food blogger become a Zumba Instructor? 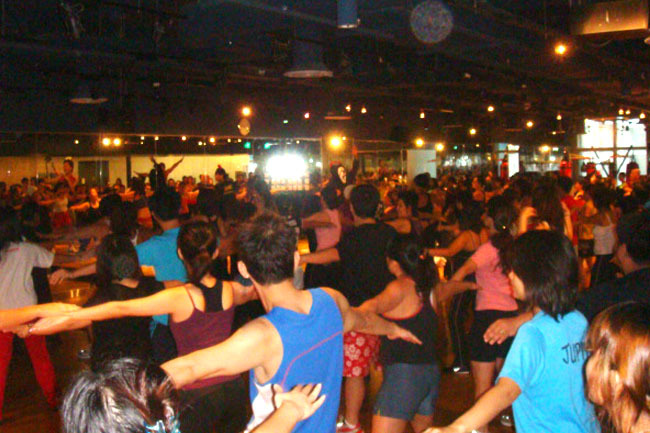 Zumba is the latest fitness craze in Singapore which is essentially a dynamic and exciting exercise session, which incorporates dance and exercise moves to Latin and international music. Many people took up the instructor course because it is really fun and effective in losing weight. The truth is, I signed up for it 5 years ago without knowing what it was. Yes, I just signed up. I am very fortunate to belong to the very first batch of instructors from Singapore taught by Zumba’s founder himself Beto Perez. Friends who know me over the years can vouch that dancing is the last thing that I can do. I DON’T and CAN’T dance. I don’t club. I have two left feet. 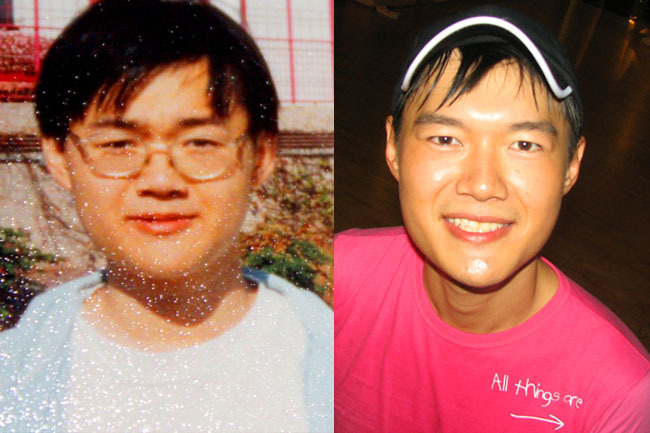 When the university hall/college/school needed people to dance, they would pick anybody BUT Daniel Ang. The reason is obvious – I am the school nerd. I can’t dance. During the course of the workshop, Beto would pick people on stage to dance with him. Everybody but me. I told myself then that this would be my personal challenge – that I would become a good Zumba instructor. 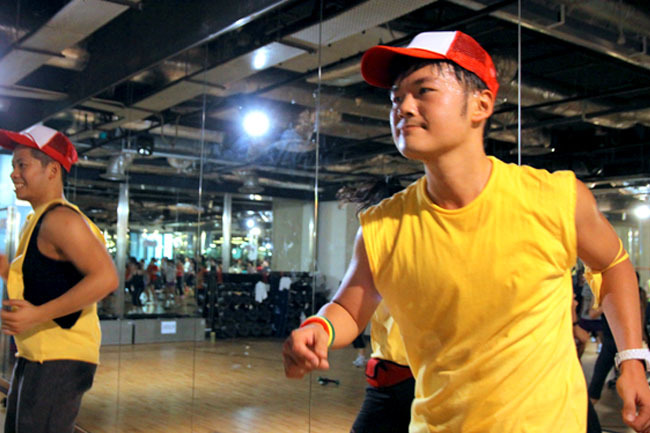 Just to share, anybody can be certified to be a Zumba Instructor – you just need to go through a 3-day course. Similarly, anybody with a camera and basic writing skills can be a food blogger. But not anybody can be a good one, and I wanted to. Many of my peers became Zumba instructor straight away. It took me more than a year later as I knew I was not ready. I went for many many many many classes. And team taught with every instructor down the list, even with the most popular ones Michael Thomas and David Velez. Even though the comparison on stage would be startling, I had to learn from the best. Criticisms were plenty, but I knew I could learn from them. Of course there were many times I just wanted to give up. Five years later, I am teaching to extremely packed classes. Last I checked, there were more than 100 squeezed in a single studio. And it’s not like they didn’t have a choice. I guess they believed in me, and more importantly, in themselves. I think about my current students who have so much potential, but give themselves excuses of not accomplishing something. “I am not good enough. I know my limits. I have failed so many times.” And this is what I will tell them – You are good enough. You are underestimating your limits. The next time you will pass. – The best way to learn is from others. – The class is never about yourself, it is about the people attending it. – You are never good enough, because you can only be better. Every time I walk into a class, I still get a little dazzled by the pure number of people who are there to support what I am doing. I thank each and every one of you – and you will have my promise I would work responsibly hard. What’s In A Food Blogger’s Bag? Now I want to come and watch you dance! Your perseverance and determination is amazing and well-rewarded! Salute!! Wow! very inspired by your post! Can i know where do you conduct your zumba classes? There are frequent Zumba courses. Go to Zumba Singapore’s group on Facebook for updated schedules. OMG now that you left then I realized my Zumba instructor is a famous food blogger, hope you are doing well now and yes you were a great Zumba instructor.